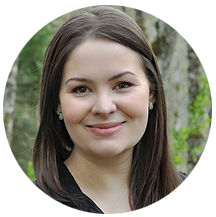 Lindsey was born in Virginia, but relocated to Bellingham by the time she was 2 years old. She loves Whatcom County and the small community of Sudden Valley, where she currently resides with her husband and son. In high school, Lindsey choose assisting a local investor on the purchase, renovation, and sale of a home as her senior project. That was the beginning of her passion for real estate. She obtained her real estate license by the age of 20 and she was a managing broker by the age of 27. After working as an agent, she saw the important need for transaction coordination and started Real Time Savers. Lindsey believes that buying and selling should be smooth for all parties involved, agents and clients alike. 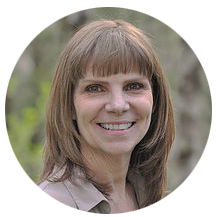 She is an avid real estate investor with her husband, Josh, and she loves renovating and DIY projects. Lindsey and Josh have a son Oakley, who they hope to pass down the family business to one day. Lindsey is lucky enough to work with her husband and parents on a daily basis at Real Time Savers! 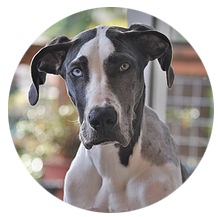 In her spare time, Lindsey likes to go on hikes with her Great Dane, Blue, and practices amateur photography. She’s an avid foodie and horror movie fan. Kitty grew up on a farm in Girard, Pennsylvania but moved to Sudden Valley/Bellingham, WA over 27 years ago. She started out in the Army, working as an illustrator and continuing her career preparing computer graphic presentations for high ranking Military Officials. Since she arrived in Washington State in 1990, Kitty has held several positions as an Executive Assistant, Marketing Manager, and Office Manager. She has been at Real Time Savers as a Transaction Coordinator now for over 2 years. Kitty met her husband Todd in Germany, where they were married 3 months later. 35 years later, they have raised 2 children (Lindsey and Dusty), become grandparents of 1 (Oakley), and are still happily married. She loves the outdoors, hiking, gardening, and traveling. All of her time would be spent floating the river if she could! The entire (somewhat competitive) family loves playing any kind of game and the hope is that one day the kids will be able to beat the parents. Licensed with Global Referral Group, LLC. 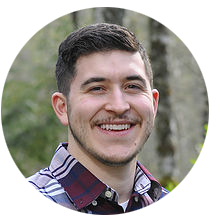 Josh was born in Stockton, CA and eventually settled in Bellingham in 1999. 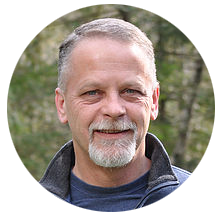 He got his Fire Science Degree from Skagit Valley College and was a Fire Fighter for 6 years here in Whatcom County. Prior to joining his wife, Lindsey, here at Real Time Savers, Josh trained and implemented “Lean” principals at Zodiac Aerospace, which allowed him to travel to many locations around the world. He enjoyed learning and teaching people how to be more productive. He is able to instill the same principles he taught here at Real Time Savers, ensuring that we are able to provide efficient, streamlined services. Josh and Lindsey have an adorable little boy named Oakley and an amazing Great Dance named Blue. Josh is an active real estate investor, renovating properties with Lindsey and he is looking forward to passing along his knowledge to Oakley. When he schedules some spare time, he enjoys golfing, hunting, and the occasional karaoke if you can catch him in the right mood. Todd was born in Rochester, Minnesota and moved to Sudden Valley, Washington 27 years ago. He served in the military (Army) for 7 years. He was able to serve as an instructor for basic electronics and engine repair at Ft Belvoir, VA. Todd also worked in manufacturing for 17 years prior to joining Real Time Savers. He has always had an interest in Real Estate and he is excited to be a part of the family business with his wife, daughter, and son in law. Todd loved being a grandpa to Oakley, his first grandson who is 16 months old. He and his wife Kitty will celebrate their 35th wedding anniversary this year. His favorite activity is the annual family Elk hunting trip. He also enjoys golf, reading, and playing poker.